With Tijuana, Mexico, the last destination inside Mexico for most Central American migrants, the city has become a bottleneck of would-be immigrants and refugees. While some of last fall’s caravan members, finding themselves unable to cross into the United States, have returned to their homes in Honduras and elsewhere, many remain, in Tijuana’s crowded shelters. 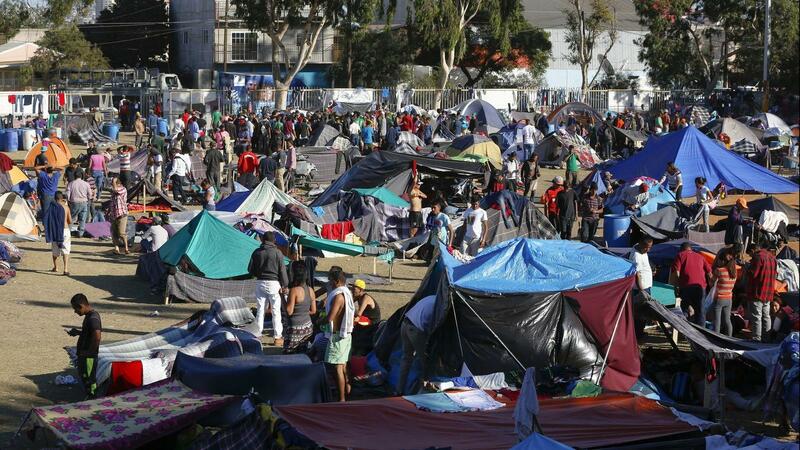 Moreover, Mexico’s new federal government has signaled a new, more tolerant policy toward present and future migrants, contributing to the stress on Tijuana’s limited resources. About the caravan now underway in southern Mexico, “Let’s hope they don’t come here,” said the coordinator of one Tijuana shelter. For more, see the San Diego Union-Tribune.